On Tuesday, September 10 the five boroughs of New York – Bronx, Brooklyn, Manhattan, Queens and Staten Island will hold primary elections to elect members for its 51 seat City Council. Nineteen Council members including current Speaker Christine Quinn are ineligible to run for re-election due to the Charter Revision vote of 2010, which limits City Council Members to serving two full consecutive four-year terms. In Bronx Council District 16 which includes West Bronx, Highbridge, Melrose and Morrisiana neighborhoods, a crowded field of seven candidates including Pedro Alvarez, Carlton Berkley, New York State Assemblywoman Vanessa Gibson, Daryl Johnson, Naaimat Muhammed, Dr. Bola Omotosho and Carlos Sierra are contesting to replace term -limited Councilwoman Helen Foster who has represented the district since 2002. Initially, four Africans including Dr. Omotosho, a Clinician and Chair of Community Board 5; Muhammed, MPA, former Legislative Assistant and Community Outreach Liaison for outgoing Councilmember Foster; Ahmadou Diallo, 49, Guinean businessman and former cab driver and Nigerian born Abiodun Bello, 53, President of the Community Education Council and PTA President had declared their candidacies for District 16. On May 15, United African Coalition of the Bronx endorsed Dr. Omotosho as their best candidate to represent District 16. After the endorsement, Bello and Diallo decided to lend their support to Dr. Omotosho. 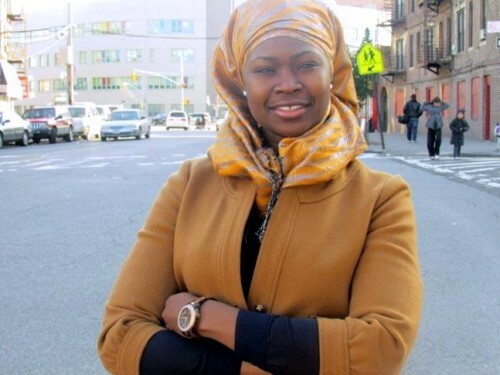 However, Muhammed, a daughter of Ghanaian and Togolese immigrants born in the Bronx refused to drop out of the race; she went ahead and filed a petition, which requires candidates to submit 450 signatures to be eligible to be on the primary and general elections. "We had over 2600 signatures. 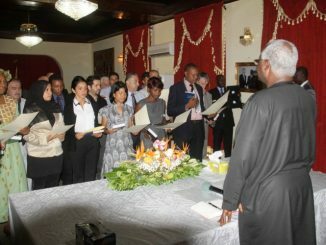 We were able to acquire these qualifying signatures by targeting registered democrats based on information from the board of elections," said Muhammed. The New York City Board of Elections (BOE) had moved to disqualify Muhammed due to what she described as a minor error on the cover sheet of her petition. Meantime, Stanley Schlein, a lawyer representing District 16 frontrunner Gibson who is representing New York 77 Assembly District and a lawyer working for Dr. Omotosho together filed general objections against Muhammed's petition to contest in next week's primary elections. Subsequently, Muhammed appealed the Board of Elections disqualification to the New York Supreme Court and won. Muhammed said because of the challenge, the city’s Campaign Finance Board suspended her public campaign funding adding that she was unable to pay her campaign workers and had to use her own resources to hire a lawyer for her appeal. "As for the appeal, we were all shocked at the outcome in the Supreme Court which held our cover sheet error against us in lieu of apparent errors by the board of election. Nonetheless, it is my belief that it is due to a lack of precedent within the Supreme Court that we were not vindicated at that time,” Muhammed said in a statement. Speaking on behalf of Dr. Omotosho Saturday during a phone call seeking comments campaign manager Curtis Geiger said their campaign would not comment on the general objections that they filed against Muhammad because she is now on the ballot. Though, Muhammed has overcome the ballot challenge hurdle, on Tuesday she faces stiff competition from Sierra, a candidate who election watchers say has “significant name recognition in the district after he earned 40 percent of the vote in 2009 when he challenged outgoing Foster and from frontrunner Assemblywoman Gibson who has the support of the Bronx Democratic establishment. Still, Muhammed said she is fully determined to beat all odds in Tuesday’s primary to represent her constituents in District 16 in the Bronx.